Alejandro Chafuen and Gissurarson at the APEE conference. The three main lessons for other nations from the 2008 Icelandic bank collapse are that an economy need not collapse even if the whole of its banking sector falls; that it may be prudent to recognise the priority of depositors’ claims to bank estates; and that if this is done, then government guarantees of deposits may be unnecessary. This was the message delivered by RNH Academic Director Professor Hannes H. Gissurarson in a lecture at a session on money and banking at the annual conference of APEE, Association of Private Enterprise Education, in Las Vegas 1–5 April 2018. Gissurarson added that other three lessons from the bank collapse were that discretionary power would always be abused, as the British Labour government did by imposing an Anti-Terrorism Act upon the Icelanders; that small nations had no friends when push comes to shove; and that in a crisis it was important to have strong leadership such as the Central Bank of Iceland exerted before and during the bank collapse by ‘ring-fencing’ Iceland. Alan Kors speaks. New APEE President Andrew Young (left) and Edward Stringham listen. Photo: P. Boettke. 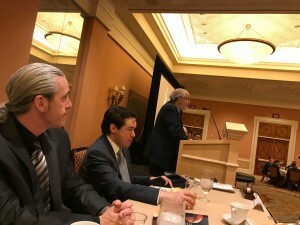 Speakers at the APEE conference included Professor Barry Weingast who discussed explanations of the poverty of nations (some of which Adam Smith submitted in the Third Book of the Wealth of Nations), one being that parasitical groups and institutions seized wealth from its creators. Professor Randall Holcombe asked whether Western elites were turning market capitalism into political capitalism. Professor Alan Charles Kors criticised the demand for political correctness in academia, which was threatening the Enlightenment value of free inquiry. Professor Larry White compared three kinds of monetary arrangements, gold, fiat and crypto-currencies, concluding that gold seemed on the whole the soundest. Professor Michael Munger wondered whether market capitalism was sustainable on its own or whether it would develop into crony capitalism, as a result of intensive rent-seeking; it depended, according to him, on whether the productivity of capitalism was larger than the possible gain from rent-seeking. 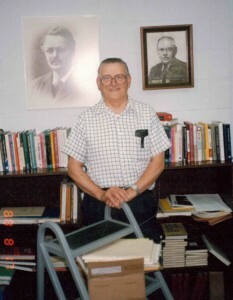 Buchanan in his office at George Mason University. Knut Wicksell and Frank H. Knight adorn the wall. Photo: H. Gissurarson. Several sessions were devoted to the political ideas of James M. Buchanan, the father of the public choice school and the 1986 Nobel Laureate in Economics, not least on the occasion of a recent book-length attack on him by leftwing historian Nancy Maclean, Democracy in Chains. In one of these sessions Professor Gissurarson said a few words about Buchanan who visited Iceland in 1982 and whom Gissurarson met several times at Mont Pelerin Society conferences and Liberty Fund colloquia. Buchanan had regarded homo economicus as an analytical tool, Gissurarson pointed out, not as a true description of human nature. Indeed, he had criticised some Chicago economists for seemingly believing that man always sought to maximise his or her income. However, in analysing politics as well as business homo economicus had to be the presumption, or test, just like a shipbuilder would design his product to survive rough seas, however rarely they might occur. Gissurarson recalled that he had learned a lot from Buchanan when they had discussed the management of the Icelandic fisheries. Buchanan had pointed out that it was not sufficient to demonstrate that commons were inefficiently utilised; someone had to have a vested interest in enclosing them. Moreover, such a change had to be Pareto-optimal in the sense that nobody would be worse off as a result. The Icelandic ITQ system fulfilled both these conditions, Gissurarson argued. At the APEE conference Gissurarson (who resides part of the year in Rio de Janeiro under a research agreement with Brazilian institutions) met with Brazilian participants who are organising the 2020 Mont Pelerin Society general meeting in São Paulo. 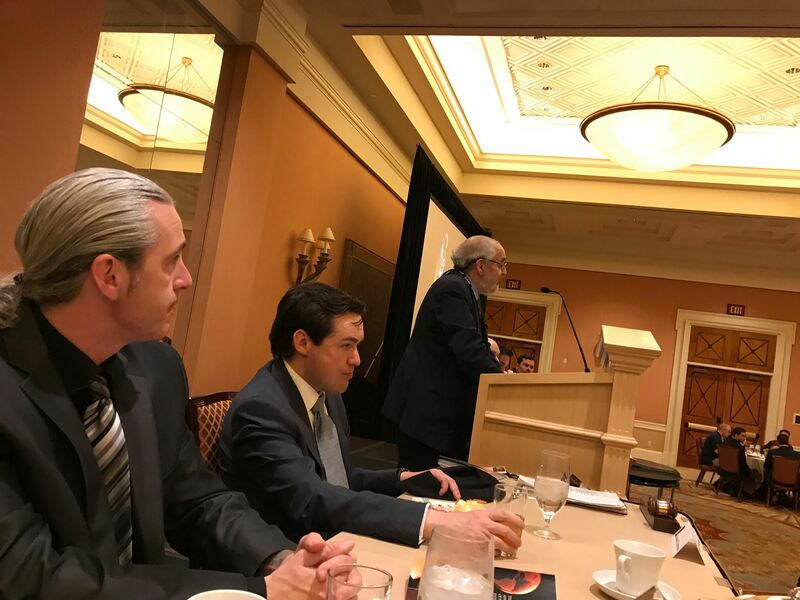 In Las Vegas, Professor Andrew Young was elected APEE President, replacing Gabriel Calzada, and Dr. Jerry Jordan, former Governor of the Federal Reserve Bank of Cleveland, Vice-President. 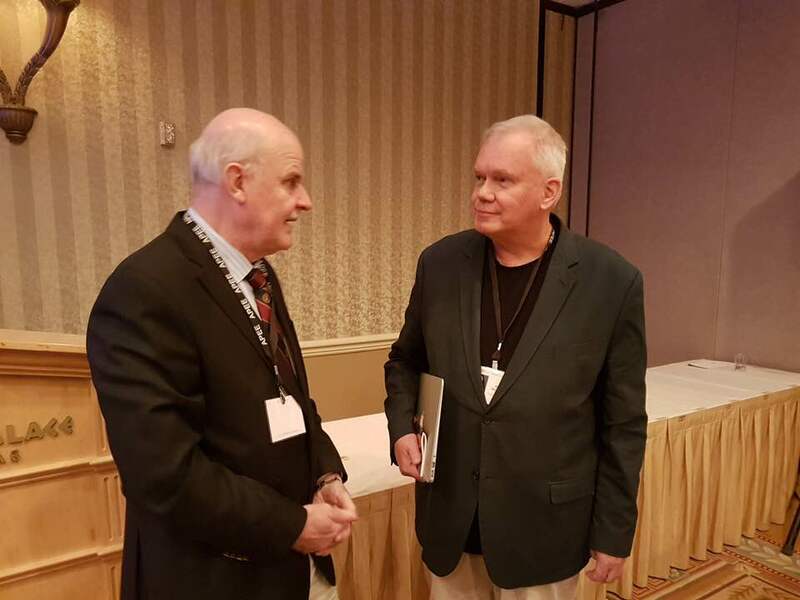 Professor Edward Stringham (who recently visited Iceland to give a lecture at a regional meeting of the European Students for Liberty) continues as editor of Journal of Private Enterprise and Professor J. R. Clark as APEE Treasurer. Gissurarson’s participation in the APEE conference formed a part of the joint project by RNH and ACRE, Association of Conservatives and Reformists in Europe, on “Europe, Iceland, and the Future of Capitalism”. The 2019 annual APEE conference will be on Paradise Island in the Bahamas 5–8 April.